I’ve always heard that you can pick your friends, but you can’t pick your family. Melissa and I proved that this was not entirely true. Experience our childhood of mistaken identity which matures over time to a friendship that endures abusive relationships, alcoholism and everything in between. If you don’t laugh or cry, then you could probably use a drink yourself. A MUST READ! I found this book very hard to put down. With each turn of the page I became more emotionally involved. There’s never a dull moment. Very well written and a must read! Great Story I bought this book after seeing something about the first review through social media. 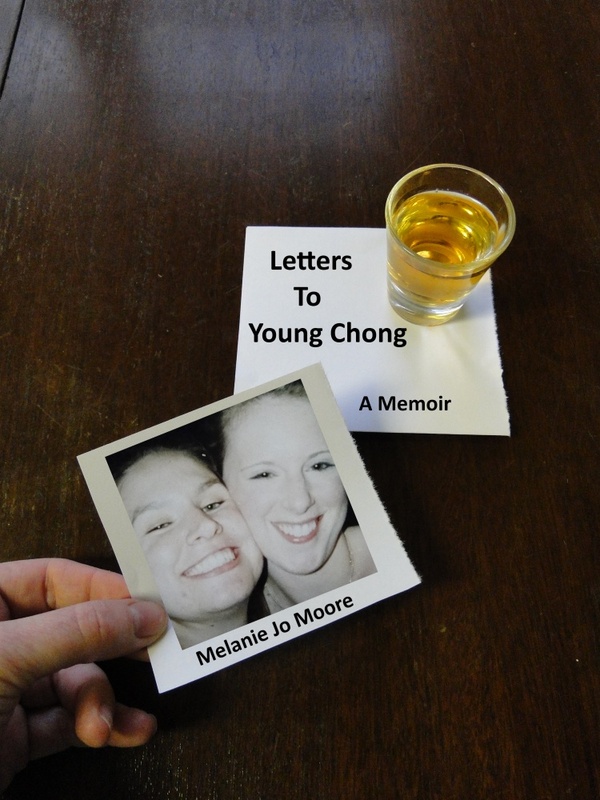 Letters to Young Chong is funny in a Chelsea Handler kind of way. This book is full of laughs and great stories of growing up in a rural area. Letters To Young Chong, an outstanding read! I thoroughly enjoyed reading this. I grew up on the shore and went to school with the publisher but until now I never really new her other than seeing her at school. This story showed me a glimpse into her life and I enjoyed every minute of reading. Mel you are such a free spirit and a great person. Good luck on your future writings and I look forward to them. When war ends, violence stays alive. The roads toward peace and significance still lead nowhere. Perhaps the aftermath is the best time to blame those who refused to carry guns and take sides. How do you deaden the pain of trusting somebody who is trying to destroy you? How are you to know the difference when your enemy says he loves you? And so begins the battle for survival. A “riveting” and “compelling” true story, this memoir unfolds fast and leaves you longing for more. Following a shotgun wedding, the author found herself married to a coal miner who kept her barefoot and pregnant. Sister of Silence is the amazing story of her personal journey: how she went from being a teen mom to an award-winning journalist determined to break the silence that shatters women and children’s lives.